On March 7 last year, during the release of the new iPad, Apple said, thanks to new technology 4G LTE, their tablet can now download data much faster. As faster as 42 megabits per second (thats 42Mbps to make it easier). Its the best wireless technology currently available for the masses. Amid a lot of hype, Airtel has already started 4G services in Kolkata, India and Tikona and RIL has already been making announcements about their pan India 4G network. Lets us understand what 4G technology is about and what it has on offer for the Indian consumers. In the US, service providers have already started offering 4G LTE service and it is also spreading across the Europe at its pace. In India, currently Airtel is the only provider offering 4G LTE services and is limited to the Kolkata circle, Bengaluru is in line. Let’s be clear right away that 4G and LTE are not two different types of connections, as it was in the past. 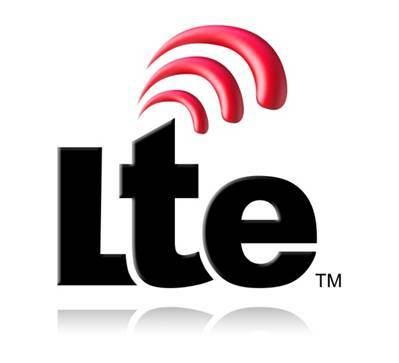 LTE (Long Term Evolution) is simply a variety of 4G, currently the fastest, and can reach download speeds of even 100 Mbps. Another type of 4G is WiMax, an alternative system to the transmission of data over cellular networks, but many experts tend to term this technology in pre-4G category. Tikona is one of the providers in India offering WiMax services for few years with the term “Powered with OFDM and MIMO 4G Technologies”. The speed of the connection on a 4G LTE network (or any wireless network for that matter) depends on few variables like the device you are using for the connection (mainly the technology or speeds its supports) and distance and obstructions between the tower and the receiver. Practically, LTE being the fastest of all its predecessor technologies, offers speeds of 10 to 20 megabits per second with peaks of 30 megabits as per the reports from some of the users in the United states. These are download speeds and upload speeds in the range of around 5 Mbps across most of the networks. If these stats are to be compared to Indian providers, slower speeds can be expected looking at the geographic conditions. There are also other constraints like FUP, pricing, etc which might also limit the use of this technologies in India. US. operators have begun to invest large resources in the development of LTE networks in North America, but the same can not be said for the telephone companies in other parts of the world. Things are slow, and up to now there have been great caution in developing a particular system, which could then no longer be the standard used. For instance in India, we saw a lot of hype over the 3G technology, service providers have paid huge amounts for licensing and spectrum. Due to this the prices are very high compared to the competition in the market. Withing 2 years of spectrum allocation for 3G, Bharti and its competitors together paid a total 385.43 billion rupees (thats $7.5 billion) for 4G spectrum in 2010. The results of this heavy spectrum pricing can be already seen in Airtel’s data plans for 4G connection in Kolkata. To beat the data plan charges, their dongle prices are even higher. A 4G multi-mode dongle from Airtel is priced at Rs 7,999. Similarly, If you see the 3G plans, a plan with a free quota of just 2.5GB is available for Rs 675 and that of 10GB for Rs 1250. Even after the competitors start rolling out their services, we can not expect the prices to go down until these companies have recovered their licensing and spectrum charges for 3G and 4G are recovered. Looking at this, we can not draw any conclusion at this moment on how this technology with perform in India. If we listen to some of the experts in the industry, 4G has lot to offer to the Indian masses. It will be a better option over the existing 3G network due to its spectrally-efficient technology, which gives higher speeds and better experience with applications involving video streaming, downloads and could also be used for applications like internet TV. The way it is being driven now, 4G does not change anything for the masses of mobile broad band is concerned. We can only hope for more competition which might lower bandwidth pricing in the coming months.